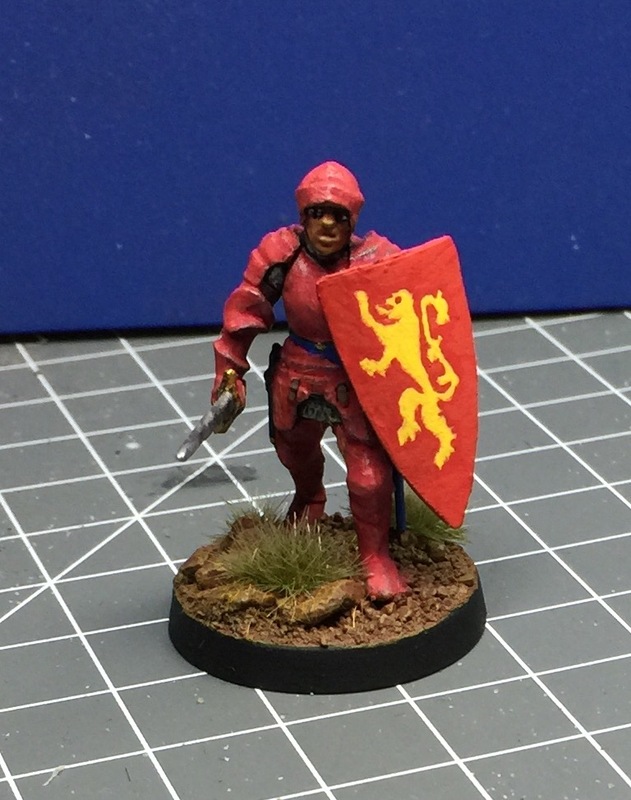 I forgot to post the leader of the Lannister foot sergeants unit. He is a knight in red armour. I am not so sure if the red armour works . 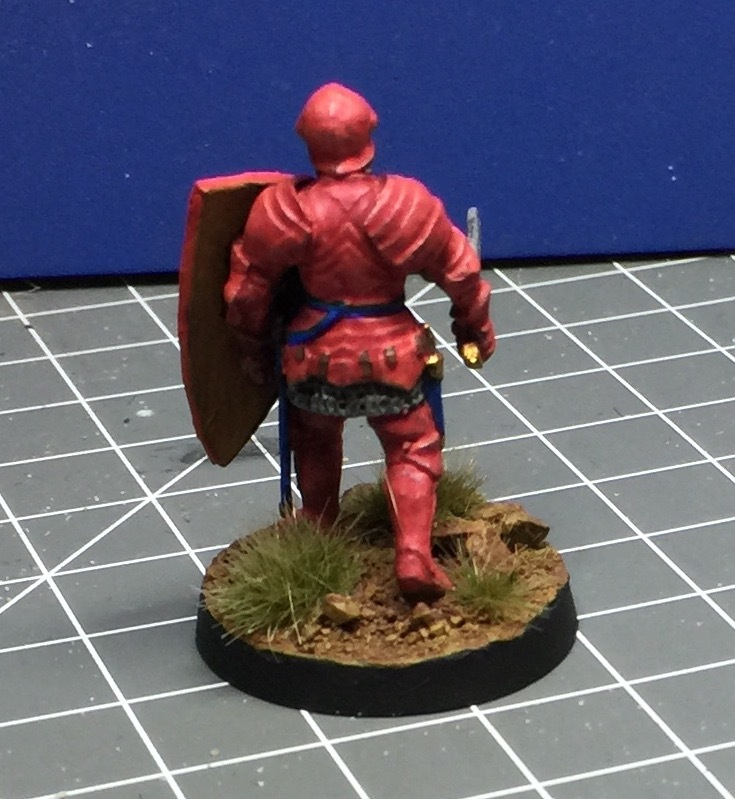 What would you do differently when painting red armour? I used red paint and mixed it with a metal medium followed by successive red washes.